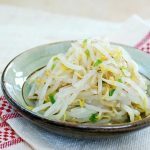 This is a side dish that you should add to your list of favorite fall/winter Korean side dishes. It’s simple, nutritious, and tasty! 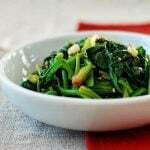 Namul is the general term that refers to a seasoned vegetable side dish. Made with mu (or moo), Korean radish, this dish is called mu namul. If you remember from my kkakdugi post, Korean radish is a variety of white radish (aka daikon) and has firm crisp flesh and a slightly sweet and peppery taste. 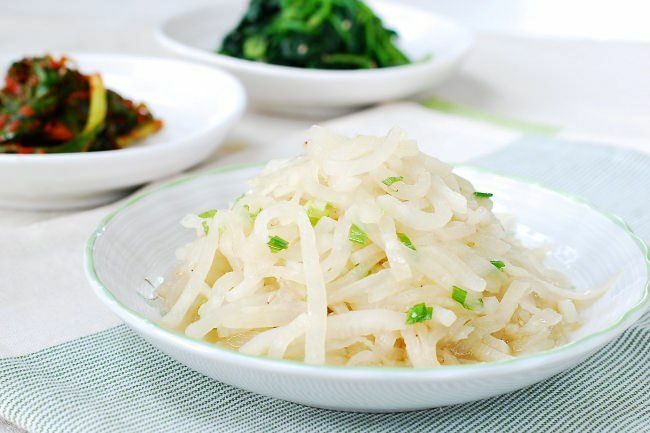 According to the data provided by the United States Department of Agriculture, white radish is a good source of Vitamin B6, calcium, iron, magnesium, dietary fiber, vitamin C, folate, potassium and copper. Read more. In season, the radish tastes so good in its natural state that you really don’t need to add much of anything else to make this dish delicious. My problem is that I can’t stop eating raw pieces while I’m preparing the dish. 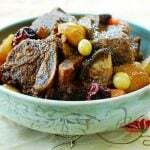 The typical cooking method for this dish is a combination of stir-frying and steaming. The julienned radish is first stir-fried with a little bit of oil, and then covered and cooked over low heat for a steaming effect. 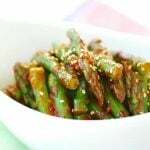 The result is a healthy vegetable dish that is mildly flavored and naturally sweet. Enjoy! 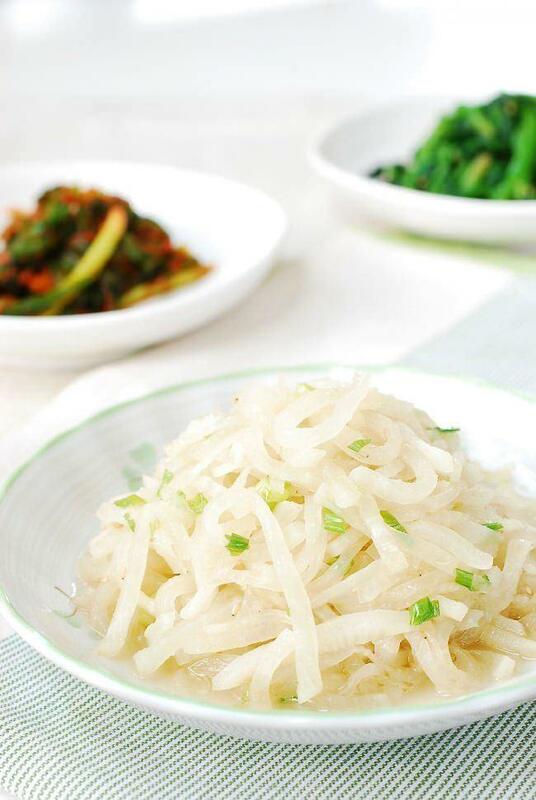 a Korean side dish made with white radish! Clean the radish. Peel the skin if necessary. You don't need to peel if the skin is smooth and clean.Cut the radish into match sticks (use a mandoline if available). Heat a large skillet with a tablespoon of oil over medium heat. Add the radish sticks with the optional soup soy sauce, salt, and garlic and cook for 4 - 5 minutes, stirring well, until the radish sticks become wilted and translucent. Add 1/4 cup of water. Reduce the heat to medium low, cover, and cook for an additional 3 - 4 minutes, until it reaches the desired level of softness. Taste and adjust seasoning and/or cooking time as needed. Right before turning off the heat, add the chopped scallion, sesame oil, and sesame seeds, and stir well. Serve warm. Oh this one is my favorite! I’d love to make it with your recipe, Hyosun! Thanks for posting this. 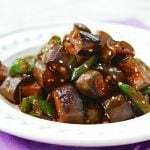 Is Korean soup soy sauce close to Japanese mentsuyu (soba soup base)? I have daikon in my fridge. Can’t wait to try it! Nami – Sorry for the late response. No it’s not the same, but you can use a little bit of that for this dish. What a wonderful, simple yet delicate dish, I can’t wait to make this. Never thought to julienne the daikon like that. It almost looks like a rice noodles. Suzi – Thank you! It’s very common in Korean cooking to julienne radish. Hope you make this dish. You’ll like it. Very nice. I used to eat this way quite often. I also often add minced clam and it brings very nice flavor, too. Hi Holly – Clam sounds good with this dish. I should try it one day. Thanks. 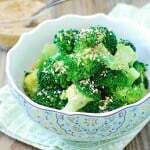 It sounds delicious (especially since I adore sesame and sesame oil), simple and healthy. I should eat more of the white radish! I will definitely make your namul soon. sissi – Thank you! I know you’ll like it. Hyosun, this sounds so delicious! Love your beautiful photos and tutorial! Well done..got to try this too because your recipes never disappoint! Sandra – Thank you for the kind words! I know you’re trying to make healthy food. This will be good. 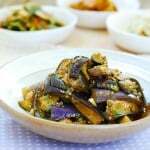 I really enjoy the Korean namul or side dishes. I have yet to try this one. My favorite is the one with soy bean sprouts. 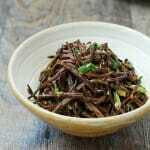 Biren – I love soybean sprout namul as well. Hope you try this one. You’ll enjoy it. A vegetarian side dish could be appreciated by many people. Thank you for sharing! Can we add this in bibimbap as well? Of course! It will be great in bibimbap. Enjoy! I enjoyed this side dish very much. Thanks for the recipe. Glad to hear that! Thanks for letting me know! Oh my, does this ever sound wonderful and also wonderfully healthy! 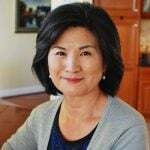 Hi Valerie – That’s awesome you are living in Korea! I’m so happy to hear that my blog is helpful. Hope you enjoy your stay in Korea and all the foods it offers. Cheers! Hi, I was wondering how long this dish will keep and what the best way is to keep it. Can it be frozen or kept in the fridge? If you do that, is it better to eat it cold (I’ve noticed a lot of Korean restaurants in the UK serve radish namul cold or at room temperature, but I’m not sure if you’re supposed to eat it that way) or to try to reheat it somehow? I live alone, but since there’s only a small quantity of garlic etc in the recipe I’m not sure how to reduce the portion sizes…I expect I probably could eat this much by myself, but radish is expensive here and it’d be a bit of a waste of money! Leila – it will keep well up to 4 days in the fridge. The recipe uses 1 pound radish and you can easily half it. Just use 1/2 of everything, such as 1/2 teaspoon minced garlic rather than 1 teaspoon. The dish can be served warm, room temperature, or cold. It really is a matter of preference. It tasted good, but there was a big pool of liquid in the plate. Is this dish supposed to be soggy, and have so much of the liquidy/oily sauce?